Technology is constantly improving as the years go by – but so does everything else. Back in the days, working in an office took a lot of a toll in a persons’ body due to the ridiculous amount of manual work such as manual inventory, filing, document processing, moving from one office to another, and so on. Fortunately, people today are blessed to have advanced technology such as the computers and the internet which definitely makes any office work easy and much more manageable. Just recently, office work and managing any business has even been made a lot easier by hiring a virtual assistant. 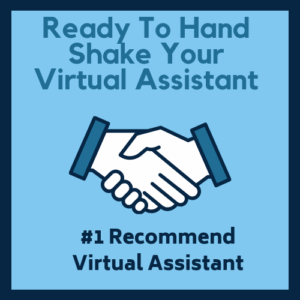 While virtual assistants these days are very much in demand because not only do they provide top quality services in almost any administrative tasks, they are also flexible in terms of times, workload and price. In this article, we will share with you among the best VA service providers you can refer to whenever looking for extra hands to manage your business or simply to handle some office work – and this website is Capital Typing. Capital Typing is a company of diverse virtual assistants and is headed by a group of consultants whose main aim is to bring smart and efficient solutions to business owners without compromising quality and price. Unlike other virtual assistant companies and websites, Capital Typing did not head out straight to providing virtual assistant services. As the name suggests, they were initially focused on encoding, typing as well as transcription services which then was among the commonly sought after services over the internet. Through the years, they were able to expand their services to data entry, data analysis, processing solutions, and administrative support. It is also safe to say that as technology advances, the website also adapted to the changes and improvements of technology. Today, the website also endorses its services to projects such as customer service support, website management, accounting and bookkeeping services, image editing and design, website design, and many others. Each of the available assistants is well-trained and well-equipped with the skills, knowledge, and techniques used in their specific fields. These assistants are likewise flexible with regards to the needs of the client. They can work on a specific shift or working hour that is comfortable for the client. They are also able to handle various ranges of tasks in any volumes. Of course, prior to getting started on a project, the client can first assess the qualifications of the assistant and decide on which VA to work with. Getting started to work with Capital Typing is easy and fast. First is to contact them through their contact form located on their website. The contact form would be a good option for those who are willing to wait for replies. However, if you’re looking to get fast answers to your inquires then it is advisable to call them directly through their hotline number which is also located on their website. In your inquiry or email message, it is best to specify all the details about the job or project which is at hand. Among the details that you can mention include the deadlines, amount of work involved, software or programs required to perform the tasks and jobs, number of assistants desired, the desired level of proficiency for the assistant, experience of the assistant that is preferred, and many others. When making inquiries, it is also best to be as specific and detailed as possible in order to come up with a good solution or estimate for the project. Fees and rates will be based on a project basis and may involve a few more fees when in case there is a need to use paid software or program or whenever professional advice and intervention are concerned. Nevertheless, the rates and fees are very much flexible and the client is able to negotiate with the price prior to starting the project or contract. The great thing about Capital Typing is that they are centered on work without using any complicated and complex software that could confuse clients. Unlike other freelancing websites, it does not have a system which makes their client perform the hard work of looking and screening the list of assistants for their ideal assistant. As soon as the inquiry and the details of the project are submitted to their consultants, the inquiry is immediately reviewed and the best assistants are presented to the client right away for the final picking. By presenting the client with the best choices of assistants, both parties are able to minimize the time for searching applicants and processes can flow smoothly. There is also no such thing as subscription fees from the website which other websites impose on their clients and members. There are absolutely no hidden fees from every service and right before getting started on a project, the client can confirm to the presented price or price quotation and will make the final choice if they will proceed or not. This is quite handy for clients since it allows them to stay on top of the project and decisions whenever initiating a project with the website. 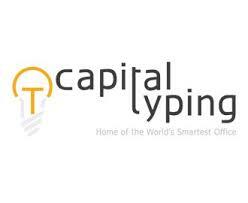 Capital typing comes with a range of services that can accommodate almost all kinds of businesses today. Since it started out in simple typing and data input jobs, it earned a good amount of experience in the field. As technology advances, the company also adapts to such changes and now they are also able to provide modern services such as language translation services, website and IT development, bookkeeping and accounting services, customer support, secretarial and office administrative work, data entry and research, and so many others. Basically, any job that requires the use of a computer can be handled by the company. The rates are as well as flexible and much more affordable compared to the more popular VA companies today. 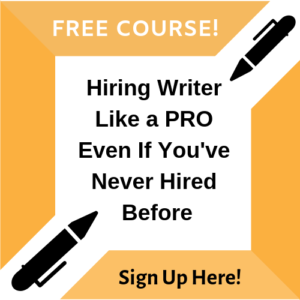 And prior to starting a contract, the client gets to decide on which assistant to work with and they are also able to negotiate with the price.